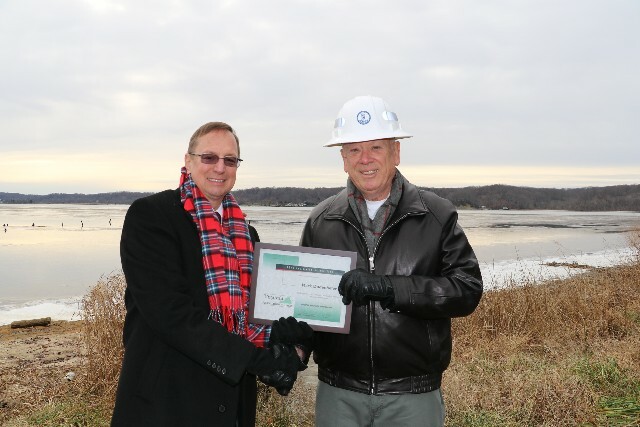 The groundbreaking for the future Widewater State Park, held Friday, Dec. 16, was an appropriate setting for the presentation of the Virginia Association for Parks 2016 Legislator of the Year Award. After VAFP President Emeritus Johnny Finch's remarks, he took the opportunity to recognize Delegate Mark Dudenhefer with this prestigious award. Delegate Dudenhefer was selected as the 2016 Legislator of the Year for his tireless efforts supporting the new park at Widewater. Since 2002 Virginia State Parks has been able to acquire land for new parks and these areas have been "land banked" waiting for development funding to construct basic facilities necessary to make an operating Virginia State Park. As Johnny pointed out, "Thanks for all you have done to make this happen. You were dilligent and visible and did what it took to set the wheels in motion." 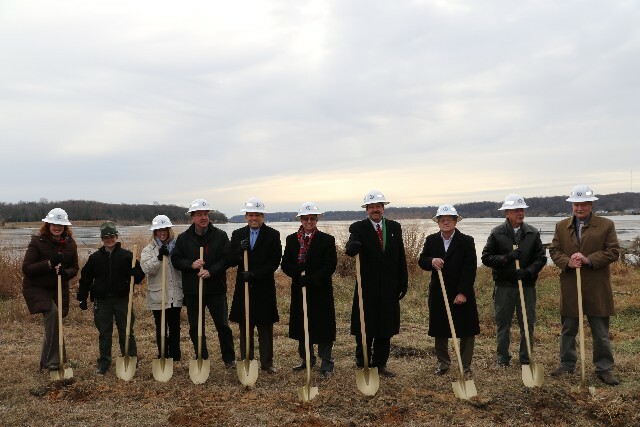 The future Widewater State Park is located in Stafford County on a peninsula between the Potomac River and Aquia Creek and will have frontage on both bodies of water. 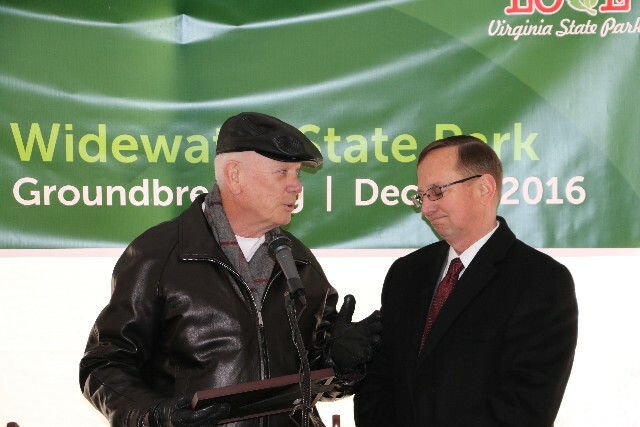 Thanks to Delegate Dudenhefer's efforts, the General Assembly provided capital funding for two phases of the Widewater State Park development. Delegate Dudenhefer and his family live in Stafford. He was elected to represent district 2 in the House of Delegates for the Virginia General Assembly in 2011. Prior to that he served on the Stafford County Board of Supervisors from 2006-2011 and as Board Chairman in 2010-11, after a 30 year career in the Marines.